Access All Areas members are being treated to 3 huge Lightroom Preset packs this week, courtesy of Exposure Empire. These HDR, Pastel and Mono Lightroom Presets are usually sold as individual products, but Exposure Empire are kindly donating all three for Access All Areas members members to download. Each set contains 20 effect based on each pack style. HDR provides a fast and easy way to create high dynamic range effects; Pastel gives your photos beautiful soft colour pastel effects; and the Mono presets apply awesome monochromatic effects with a range of strengths and styles. 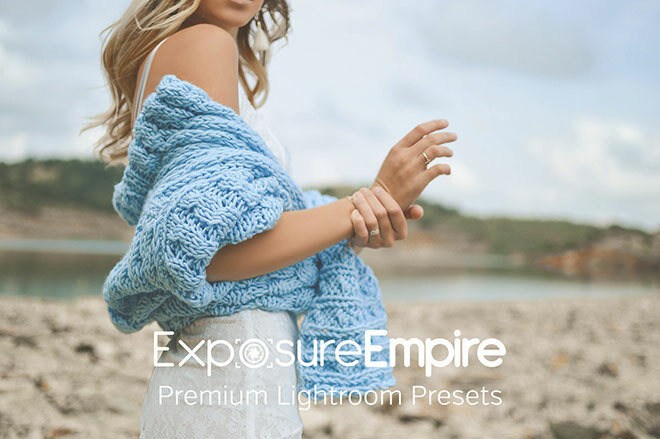 Exposure Empire provides photographers with premium quality Lightroom presets. They currently offer 21 different packs of presets, and they also sell a bundle that includes all of those packs (a total of more than 500 presets). The bundle gives you a great variety of different types of effects that you can start using with your own photos. These 3 collections of Lightroom Presets contain over 60 effects in total. You’ll find a variety of styles in each set alongside detailed instructions on how to install and use the effects. The presets are compatible with Lightroom versions 4, 5, 6, and CC (not compatible with Photoshop), on both Mac and PC platforms, and can be applied to RAW and JPEG images.